17th April 2019 - The latest quarterly earnings results began late last week with Citigroup and Wells Fargo reporting mixed results but much better filings this week by JP Morgan, Bank of America### and today from Morgan Stanley. Wednesday’s indices pushed slightly higher on news that China’s economy had grew at a better-then-expected rate of 6.4% per cent whilst industrial production was 8.5% per cent, higher than consensus estimates of 6.0% per cent. There’s been talk of a ‘melt-up’ in stock markets from Blackrock’s Larry Fink...Read full summary in our latest report! 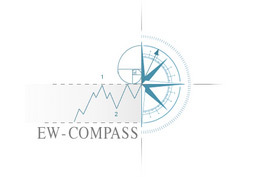 17th April 2019 - The US$ dollar index is trending lower over the next week or two basis April’s five wave diagonal unfolding lower from 97.51 ending into last week’s low of 96.75. This week’s rally has ###already ended a zig zag correction but there’s an open question whether this could push higher as a double zig zag, or simply turn more immediately lower. The Euro/US$ is equally set to push higher over the next couple of weeks towards 1.1448+/- before resuming its larger downtrend. This shorter-term attempt may be just enough time before the more bearish Euro election news takes hold over the coming month of May and into June. Stlg/US$ is trapped inside a short-term trading...Read full summary in our latest report! 17th April 2019 - Long-dated treasury yields were pushing higher from last week’s retracement low as part of the late-March counter-trend rally. Although upside targets for the US10yr yield are measured towards 2.680+/-### using fib-price-ratios, Wednesday’s high at 2.616 may just be enough to end the rally and open the next downside risk for a slide towards 2.185+/- over the next couple of months. This would certainly align to the idea of a shift to safe-haven bond-buying triggered by a stock market sell-off. Meanwhile, the German government... Read full summary in our latest report! 17th April 2019 - Precious metals are behaving bearishly despite the fact that the US$ dollar is set to decline around 1% per cent over the next week or two, and a stock market correction is about to ###get underway. The internal structure of gold and silver indicates more downward pressure that continues counter-trend declines that began from last February’s highs. Gold’s downside targets are towards 1254.40-43.55+/-. Silver’s downside target is towards 14.26+/-, still some way off. One possible scenario is that some long-liquidation takes hold amidst a stock market sell-off as investors cash in for more liquidity, but once reaching downside targets, precious metals take off to the upside when fresh buyers enter the fray – let’s see. Crude oil which is positively correlated ... Read full summary in our latest report! 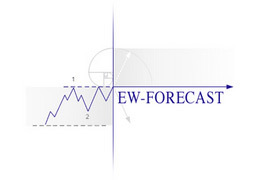 'Register' now and receive the latest EW-Product-Alerts via e-mail with updates for WaveSearch & up-coming tutorials and seminars. "I just wanted to congratulate you on the EW-Compass reports launch. I'd say all the work you've all put into this project is well worth it… never cease to be amazed by the harmony that you find between the fib relations you highlight and the Elliott count you propose. You are a true descendant of RNE, and I'm quite sure he'd have really loved to see your work… Another aspect that sets you apart is your deep knowledge of the how and why of pattern relationships between higher & lower degrees of the same price action. So much to learn there". - T.S. 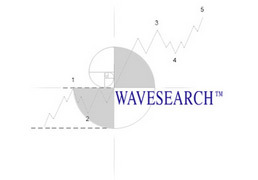 The Wave Principle, often referred to as Elliott Wave is a unique methodology that applies Natures Laws, those encompassing the Natural Sciences and Universal Geometric Philosophies to the financial markets. It allows us to view price fluctuations as an organised process that can be non-linearly extrapolated to gain a glimpse into the future direction of trends, counter-trends and amplitudes on any market or contract traded around the world. In R.N.Elliott's original treatise of "The Wave Principle (1938)", he introduces us to diagonal patterns for the first time on page 21. Under the heading, Triangles, Elliott describes the difference between horizontal triangles that represent hesitation within an ongoing, progressive trend and diagonal triangles that form the concluding 5th wave of a larger five wave sequence. Peter Goodburn will be presenting his latest Elliott Wave analysis at the 123rd Trade Fair Convention of the Battery Council in Miami, 1-4 May 2011. Peter’s presentation is entitled "The Historical Price Trend of Lead and Applying the Elliott Wave Principle to plot its course into the Future".